Under construction in Marsh Bridges Subdivision Summerdale, AL. Large Direct lakefront lot in a country setting. 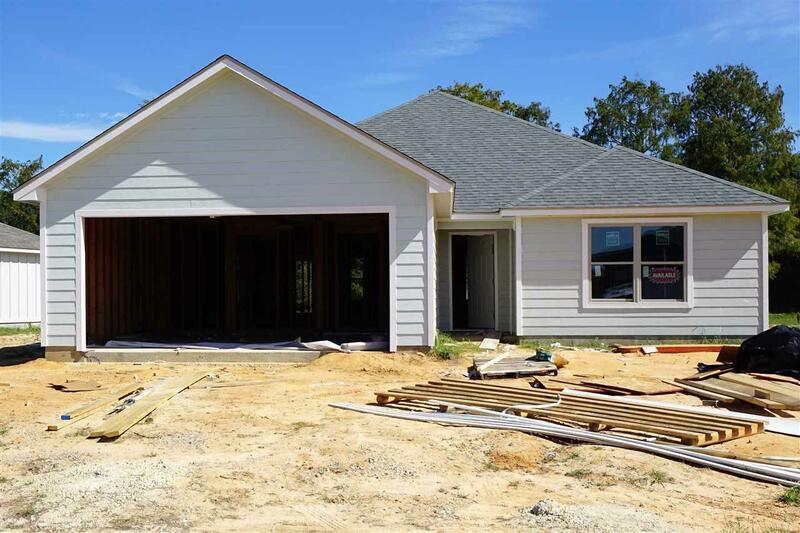 Driftwood Plan- 3BR/2BA split floor plan, open layout w/ large island in kitchen, vaulted & tray smooth ceilings, 2 car garage, low maintenance concrete plank ext. stainless appliances, 3 cm granite counters throughout, carpet & plank flooring, custom tile walk in shower in master bath, dimensional shingles, builders home warranty hurricane fabric shields and more. Ask about special 100% financing with use of preferred lender.